Mozilla kills Metro version of Firefox, says shipping the browser "would be a mistake"
Just four days before it was due to ship, Mozilla has scrapped the Metro version of Firefox citing low adoption of the Windows 8 Metro interface -- which Microsoft now calls “Modern UI”. 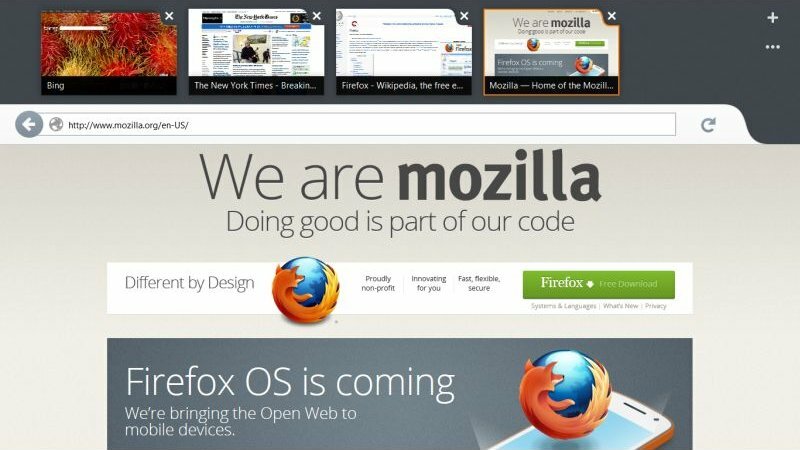 Johnathan Nightingale, Mozilla's Vice President of Firefox, announced the news in a blog post. “In the months since, as the team built and tested and refined the product, we’ve been watching Metro’s adoption”, Nightingale said, adding that the adoption rate has been "pretty flat". While on any given day, millions of people test pre-release versions of Firefox desktop, less than 1,000 used the Metro version, he said. The low numbers also indicate that the browser's Metro version wasn't properly tested, which means that the company would probably have had to deal with a large number of bugs, requiring a lot of follow-up engineering, QA, and design effort, had they decided to release it. Although the decision will have no effect on the desktop version of the browser, which will continue to be developed, it is indeed a big blow for Microsoft, which is already struggling to populate the Windows 8 app store with cutting edge software apps, especially those which are aimed to take advantage of it's touch screen feature. Mozilla had been working on Firefox's Metro version since 2012. The 29 person team was headed by Nightingale himself, and included a couple of product managers and nine dedicated engineers. Back in April 2012, the company released the browser's first look, before it made its way to the nightly channel. Mozilla however maintains that it might shift the focus back to the Metro version in case demand picks up in the future.